Two Jewish youths were attacked in Hevron over Shabbat by a gang of Arabs - and were arrested for their trouble. 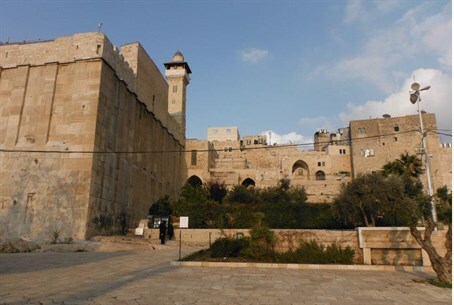 Two Jewish youths were attacked in Hevron over Shabbat by a gang of Arabs as they walked near the Machpelah Cave in the city. IDF troops intervened and rescued them from being attacked by the Arab mob. After the incident, police arrived on the scene – and promptly arrested the Jews. Police said that the Arabs had filed a complaint against the two, claiming the two Jewish victims attacked them. This, despite their medical condition, which necessitated their being hospitalized. Police did take the two to the hospital, and they were released early Sunday morning after being treated for injuries in their legs and shoulders. Once released from the hospital, they were taken to a police station for questioning on charges of attacking the Arabs. Police on Sunday morning sought an extension of their remand in a Jerusalem court. Police told the court that three Arabs had been arrested for attacking the Jews. However, they said, they needed the Jews to remain in custody in order to investigate their claims versus the Arabs' claims. Representing the two Jews was attorney Itamar Ben Gvir, on behalf of the Honenu legal rights organization. Ben Gvir told the court that the detention of the two Jews was illegal, eventually convincing the court of his point of view. The court ordered the two freed - but issued an order forbidding them from entering Hevron for 30 days. “Hevron police need to do some thinking,” said Ben Gvir. “Jews are attacked, and they are arrested. Then, the court decides they are innocent, but they are forbidden from entering Hevron anyway for a month. It appeared to me during the hearing that at least some police officers seem to have forgotten that just a week and a half ago three Jews were kidnapped near Hevron. “It would have been interesting to see what police would have done if the 20 Arabs who attacked the Jews had been able to drag them into a building and hold them hostage,” said Ben Gvir. “These two Jews were in danger of being killed, as it was. Police handled this matter in a matter that legitimizes Arab violence,” he added.